Along with speculation on who will win, the Oscar season is an exciting time for a different reason. 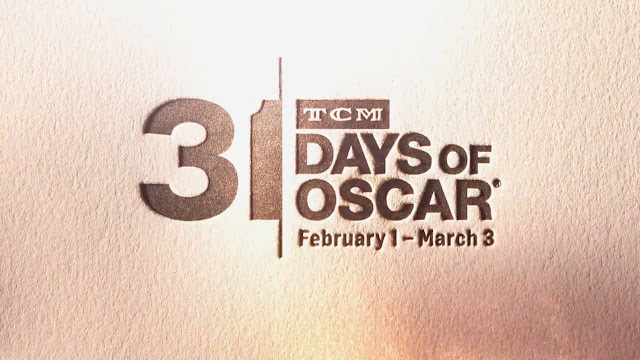 Once again, the great folks over at Turner Classic Movies (TCM) is hosting 31 Days of Oscar; an event meant to highlight films that not only won Best Picture, but other films ranging from shorts and documentaries to nominees from other categories. This year's line-up has been announced, and it definitely has plenty to be excited about. Whether you're watching for fun or want to fill in a few spots on your movie wishlist, it's best to give TCM at least a little time over the next month or so. The following is going to be a quick look at when you can see the Best Picture films, though it's encouraging that you watch the other movies, too. What's incredible is that The Academy is celebrating its 90th anniversary this year. It's hard to believe that movie's greatest award has been around for almost a century and has handed out so many awards that 31 Days of Oscars barely scratches all of the films nominated. With that said, this year definitely has some great films that are both from the early days (including the other "first Best Picture winner" Sunrise) and recent fare like There Will Be Blood. This post isn't a complete rundown of the films that will be seen, but I encourage you to visit the PDF file here and start planning your nights around these wonderful titles. As a fan of Oscar history, there's a good chance that you're most interested in seeing the Best Picture nominees. On the bright side, my slight delay in publishing hasn't kept you from watching any of these titles. However, you have unfortunately missed such classics as Fiddler on the Roof or George Cuckor's version of A Star is Born. So, when does the fun start? Technically, it's going on right now. However, this year's selection has catered the Best Picture showcases towards the end of the month. The following is a quick rundown of the Best Picture films you can see. Check local listings for more accurate showtimes. So please, tune in to TCM and enjoy the countless great movies that will be airing over the next few weeks. If you'd like some recommendations, I'd suggest checking out The Adventures of Robin Hood (Feb. 6), What Ever Happened to Baby Jane? and The Age of Innocence (both Feb. 9), Julius Caesar (Feb. 10), The Third Man (Feb. 11), David and Lisa and Cabaret (both Feb. 12), The Umbrellas of Cherbourg (Feb. 13), Meet Me in St. Louis (Feb. 14), East of Eden (Feb. 17), Twelve O'Clock High (Feb. 18), The Last Picture Show (Feb. 19), The Best Man and Broken Arrow (Feb. 20), The Lion in Winter (Feb. 21), Sergeant York (Feb. 22), Cat Ballou and Harry and Tonto and There Will Be Blood and Network (all Feb. 24), Seven Brides for Seven Brothers (Feb. 25), Cat on a Hot Tin Roof (Feb. 26), The Ox-Bow Incident (Feb. 27), Ninotchka (Feb. 28), Double Indemnity and The Pride of the Yankees (Mar. 1), The Nun's Story and The Great Dictator (Mar. 2), and The Music Man (Mar. 3). Those are just a few, though. I'd recommend giving the list a serious look.